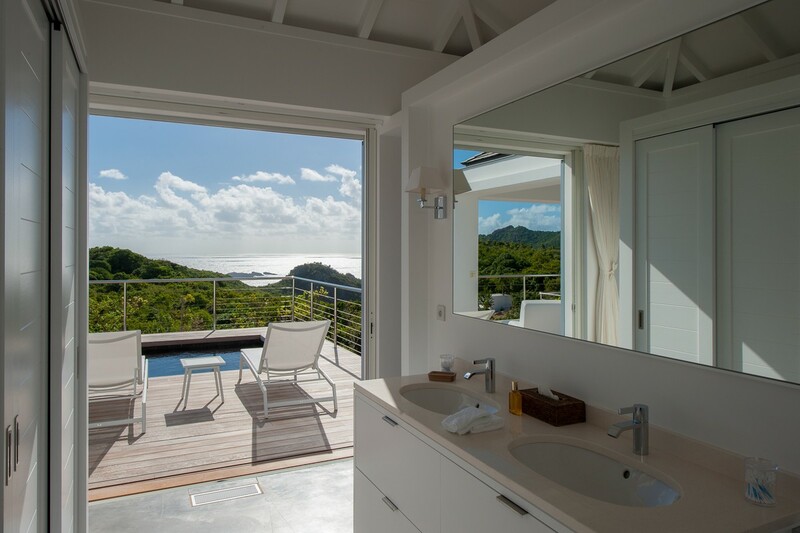 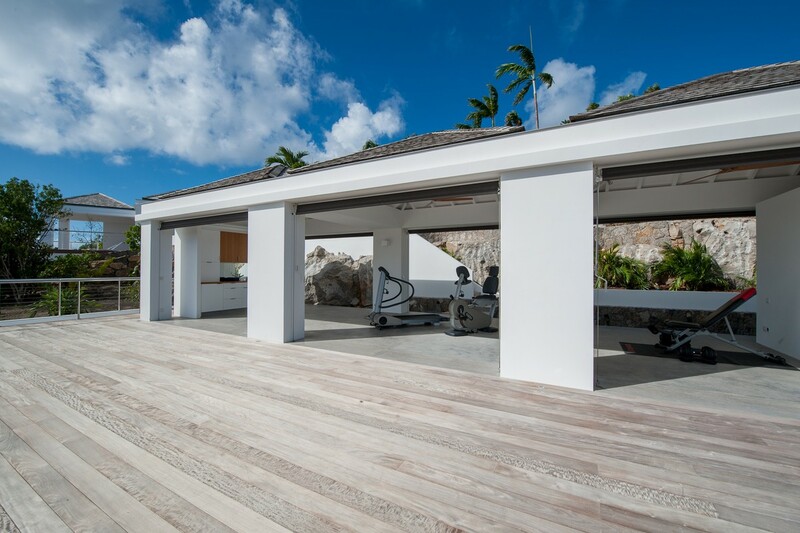 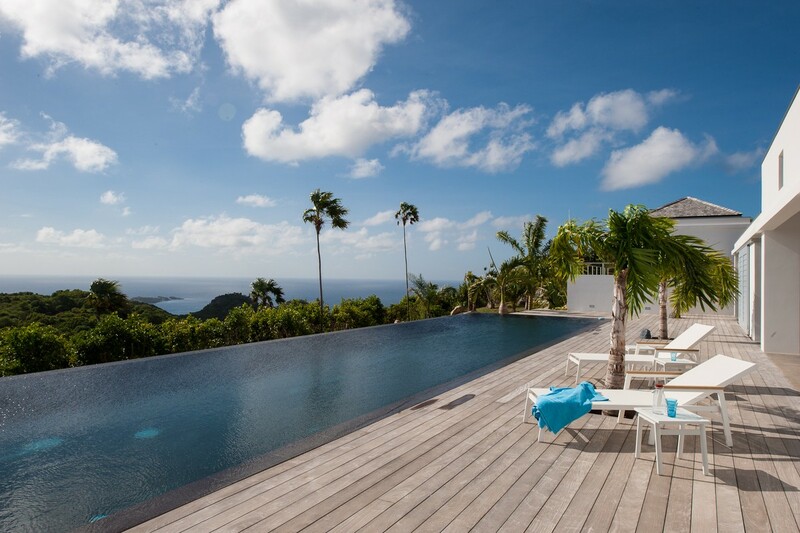 Villa Jasmine St Barts. 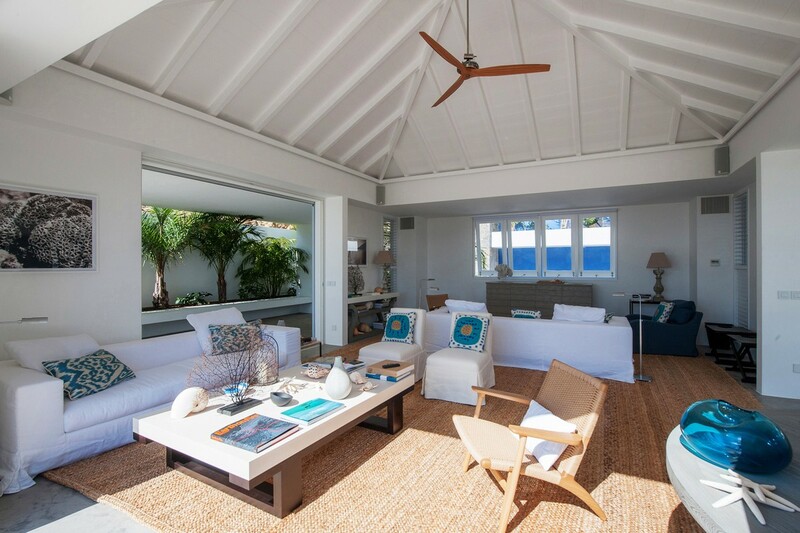 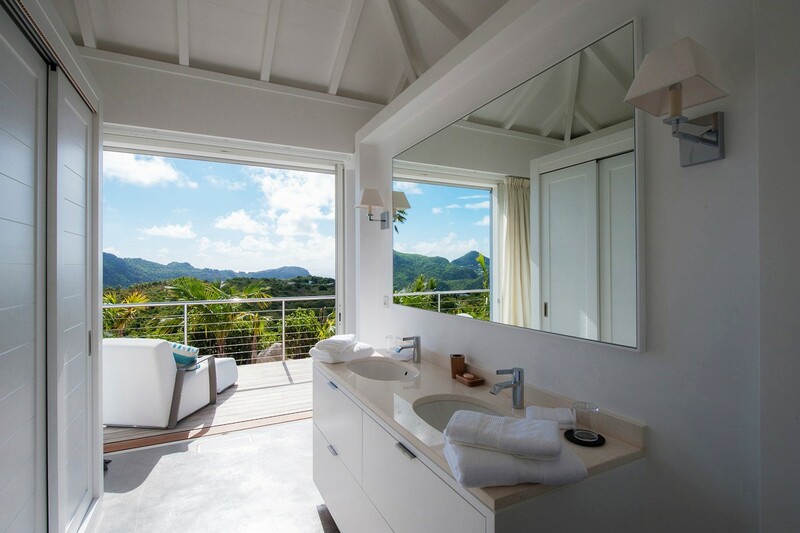 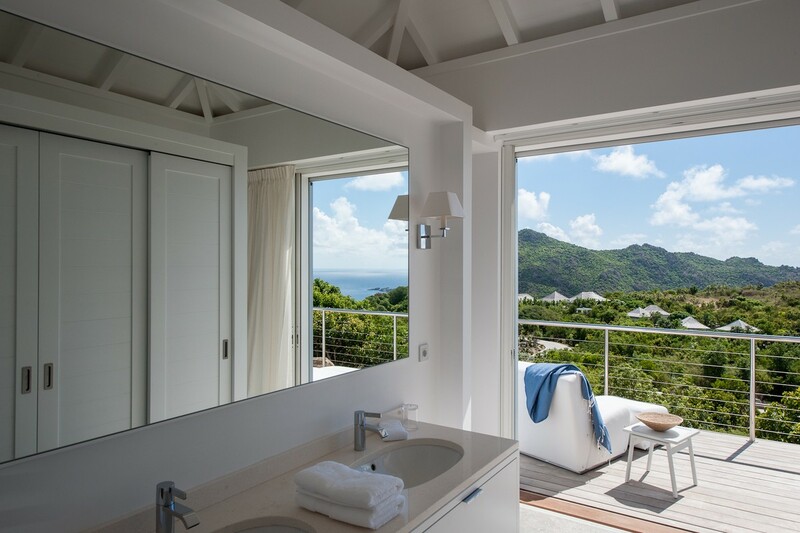 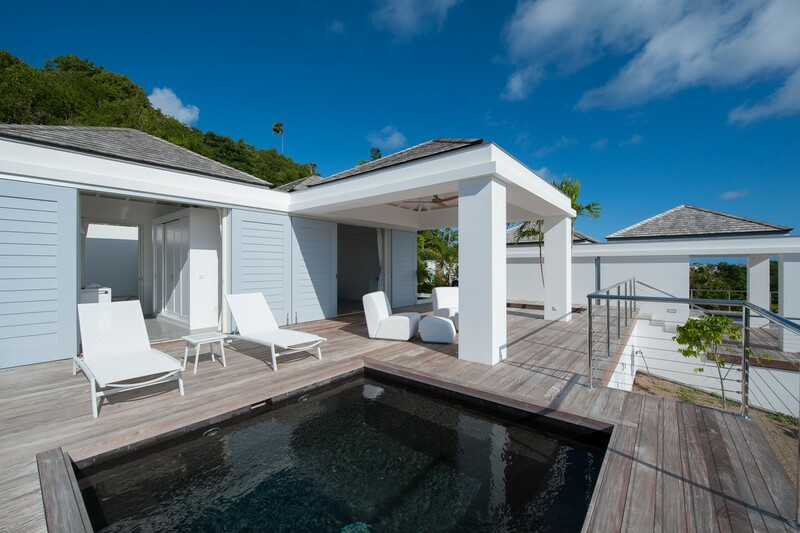 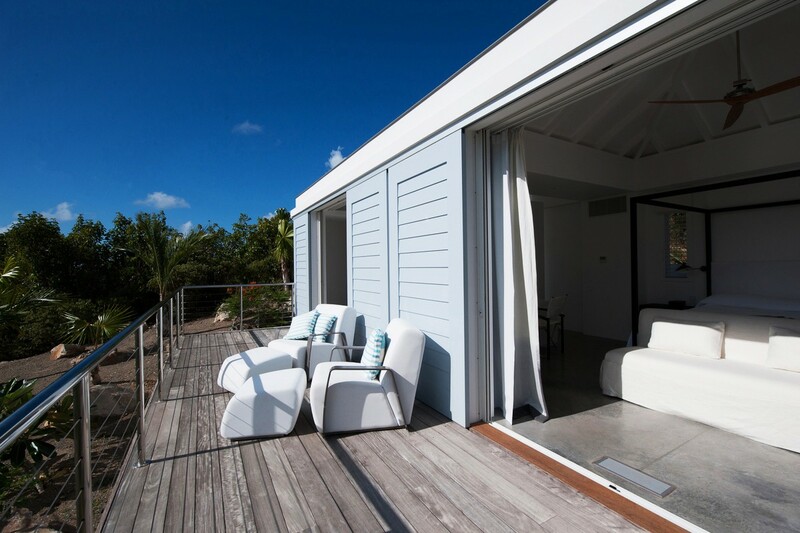 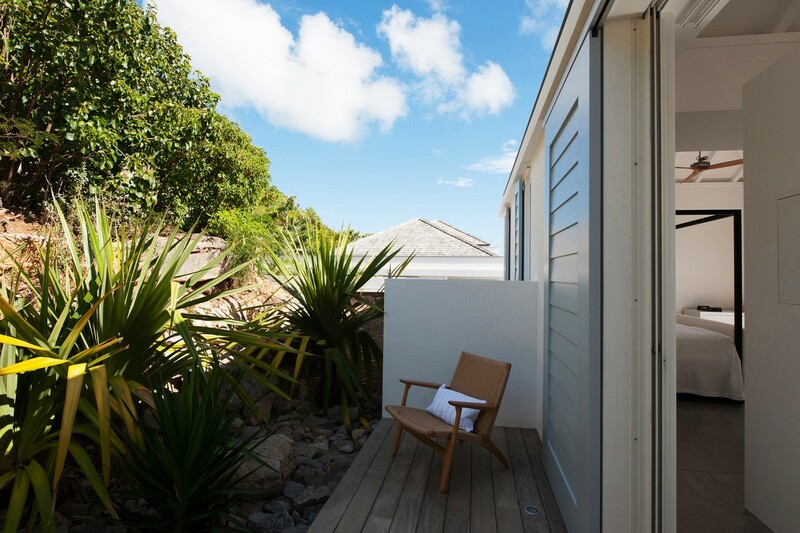 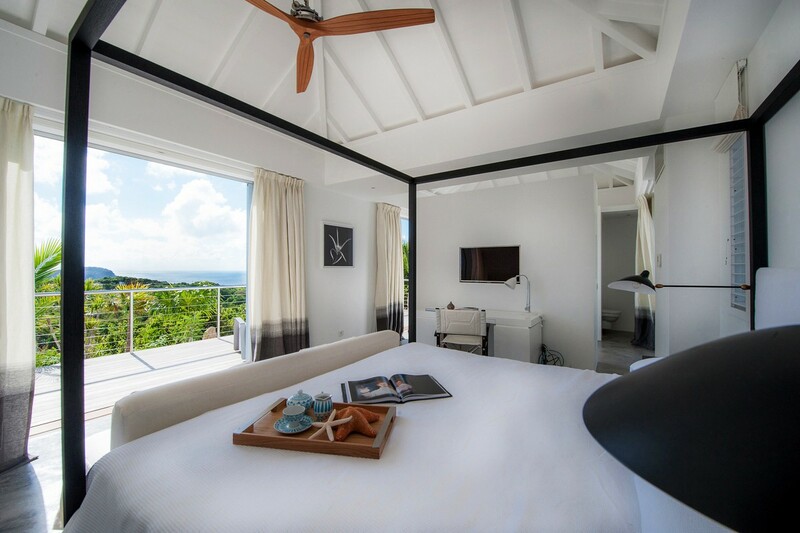 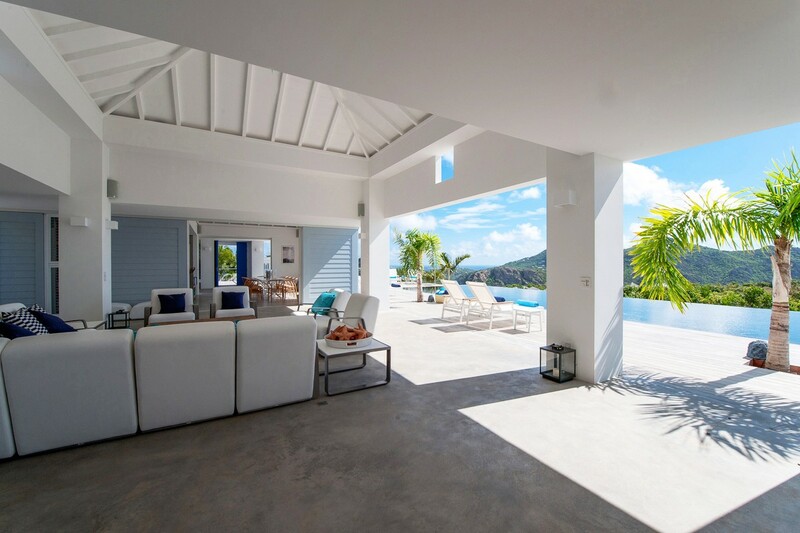 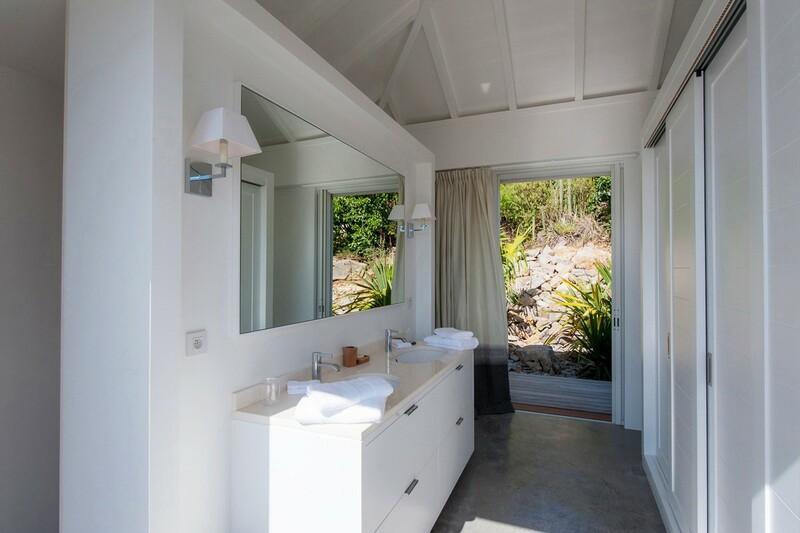 Tucked into an exclusive gated Domain in the hills just above Gouverneur Beach in St. Barts, the Villa Jasmine provides a wonderful setting for a group or family holiday. 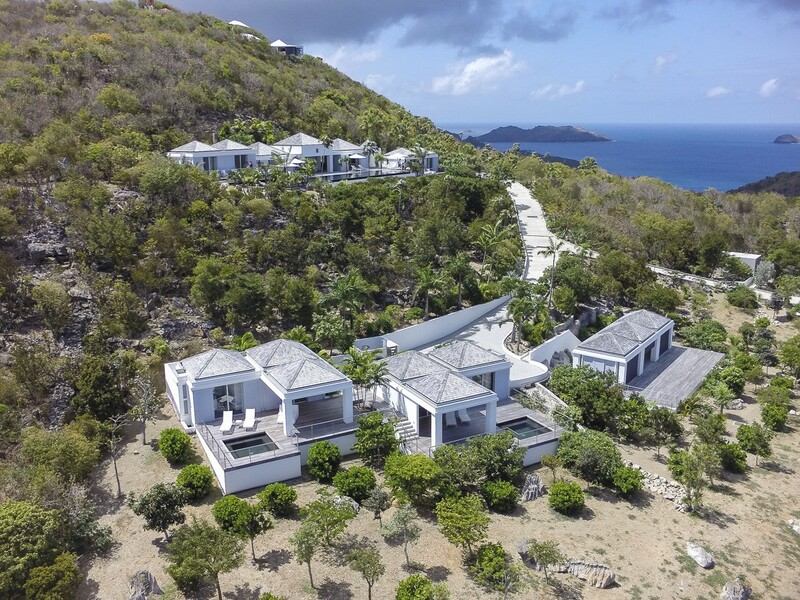 Designed to sit discreetly in the lush surroundings, it is a newly-built property with amazing views, amenities and luxuries. 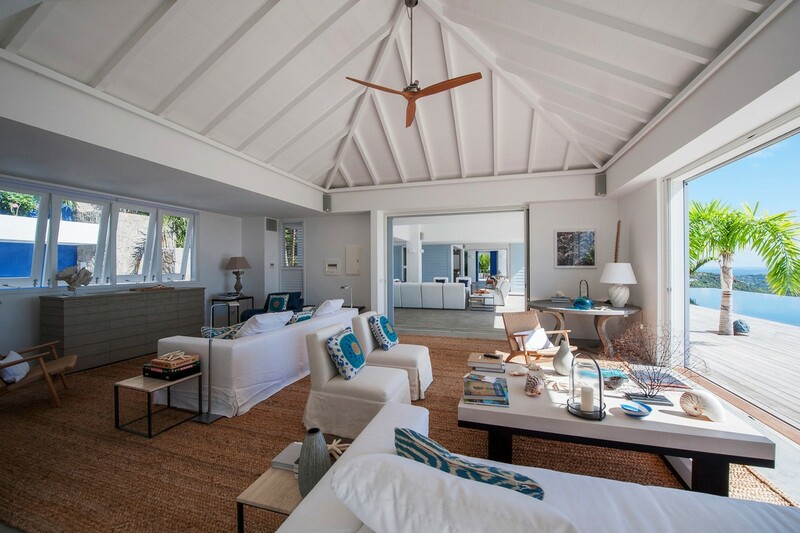 One look at this lovely property, and visitors will be won over. 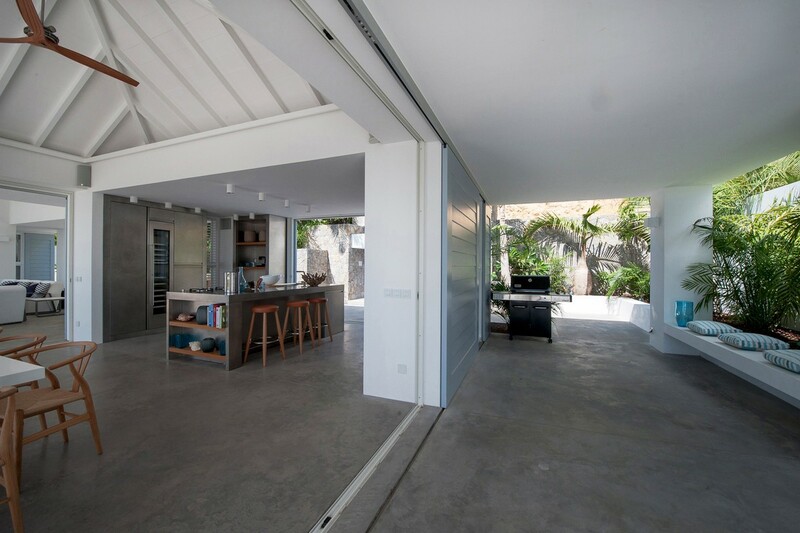 Designed as a series of interconnected structures, it seamlessly blends the lines between interior and exterior living spaces. 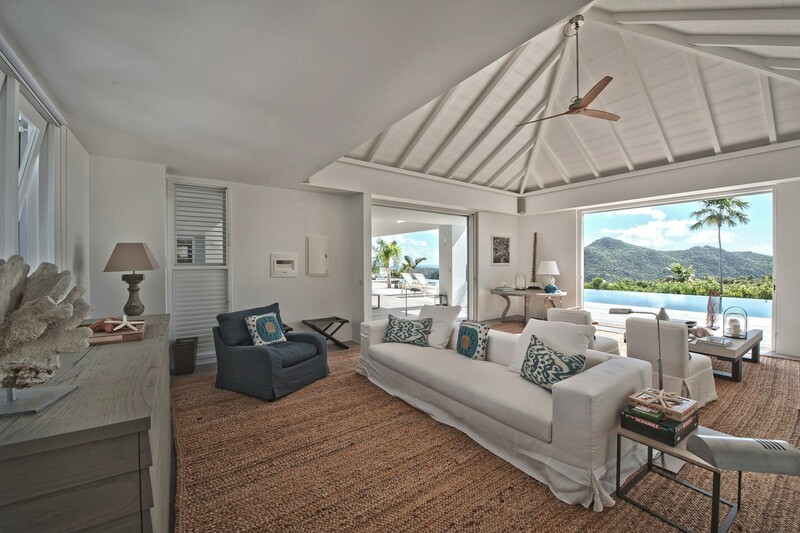 It is a four-bedroom villa with an abundance of shared and private spaces from which to savor the scenery and the setting. 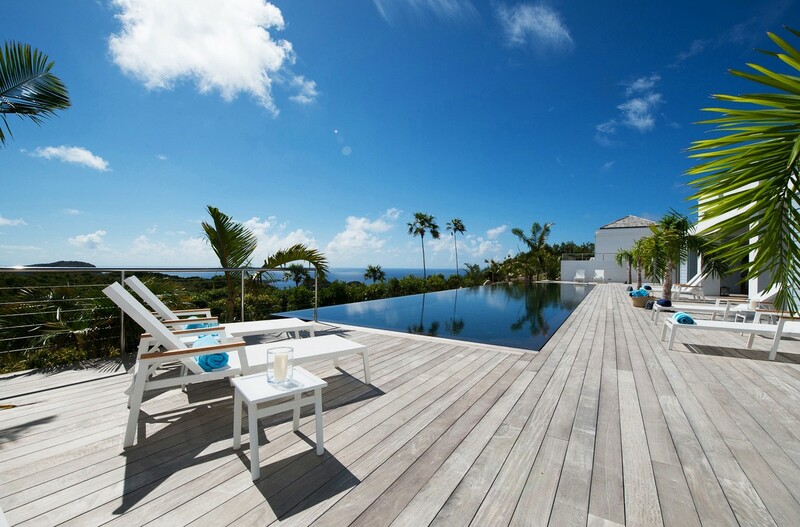 Most will find the infinity-edge swimming pool a major destination. 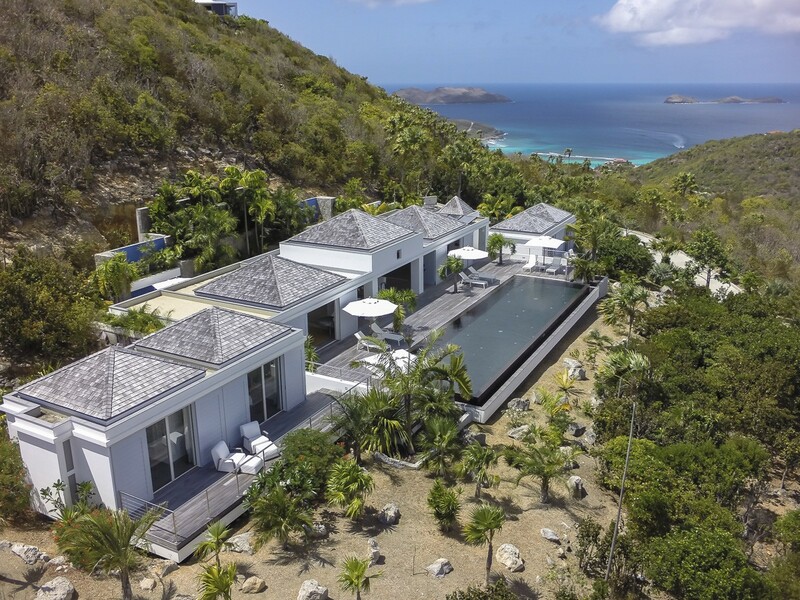 With its row of palms, its western views offering great sunsets, and its wooden terrace full of places to relax, it is an oasis of privacy and calm. 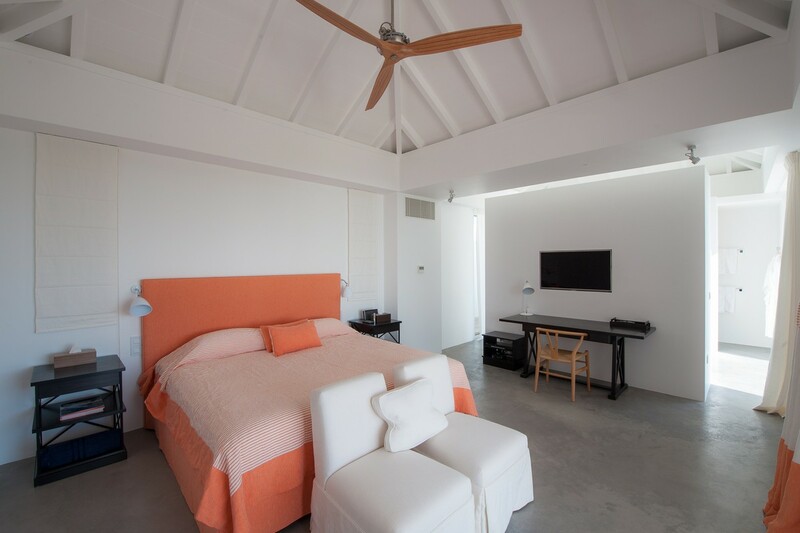 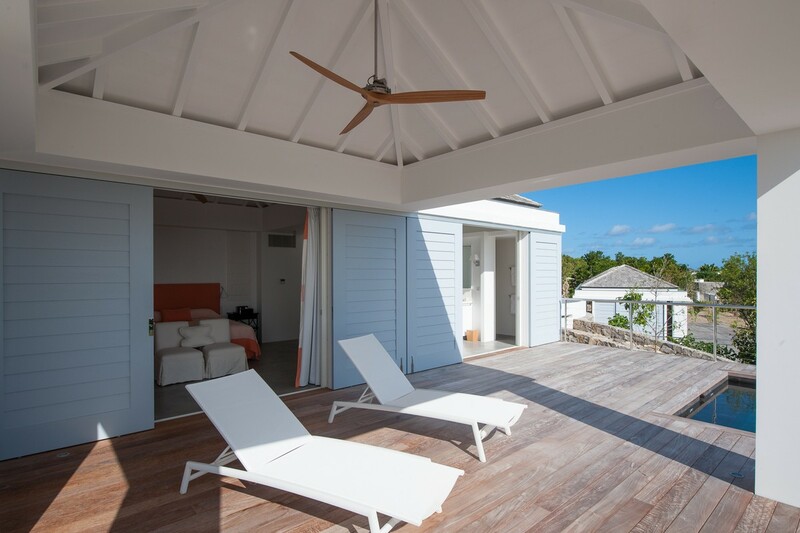 Of course, the main villa is not the only spot for relaxing as each of the bedrooms is a private paradise too. 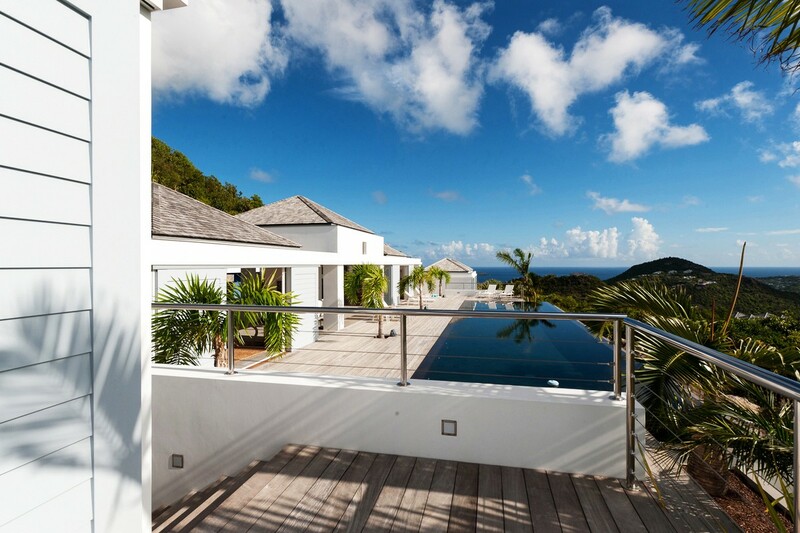 Two are on the same level as the main villa and two are at a lower part of the grounds. 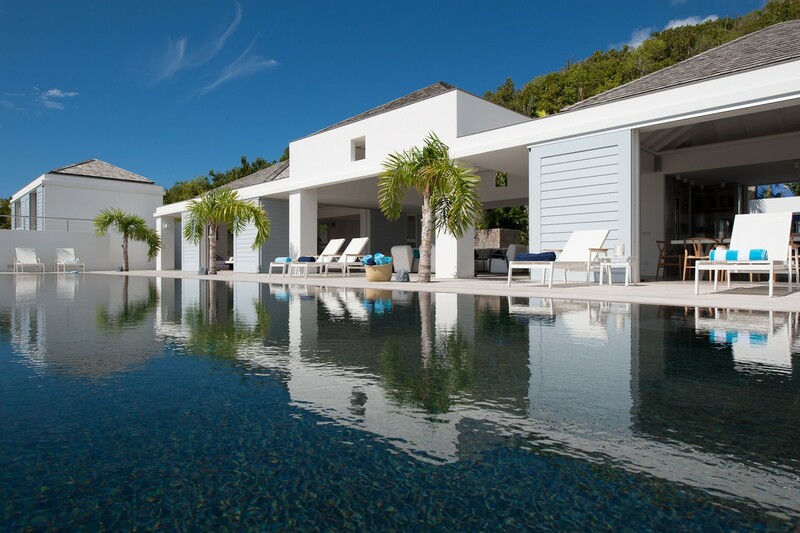 These each have private terraces, private plunge pools and enormous living spaces, mini-bars and luxurious baths. 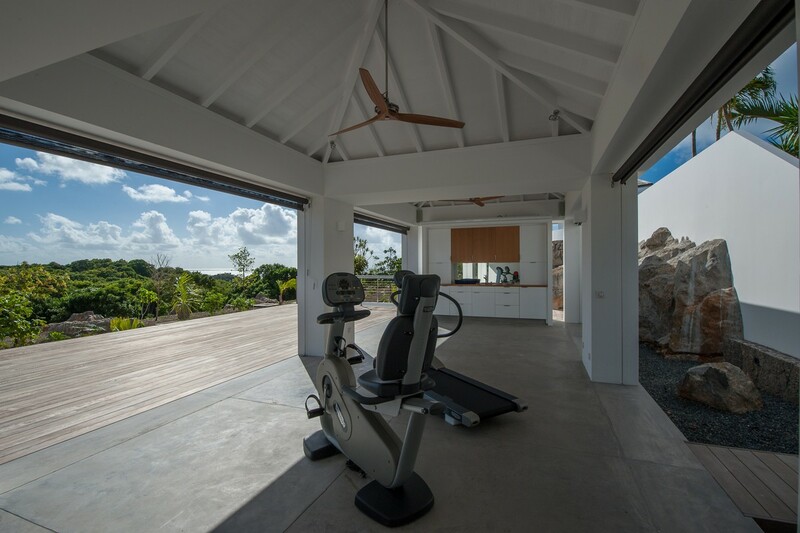 Nearby is the fully-equipped fitness center. 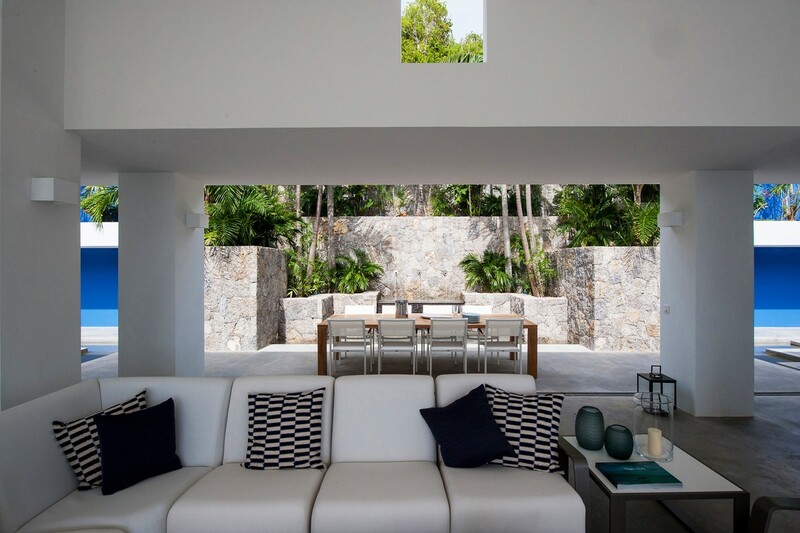 Back in the main villa, the shared living spaces include an al fresco living room, an interior living room and TV lounge, a large gourmet kitchen equipped with the very best appliances, and done in a stunning stainless and slate palette. 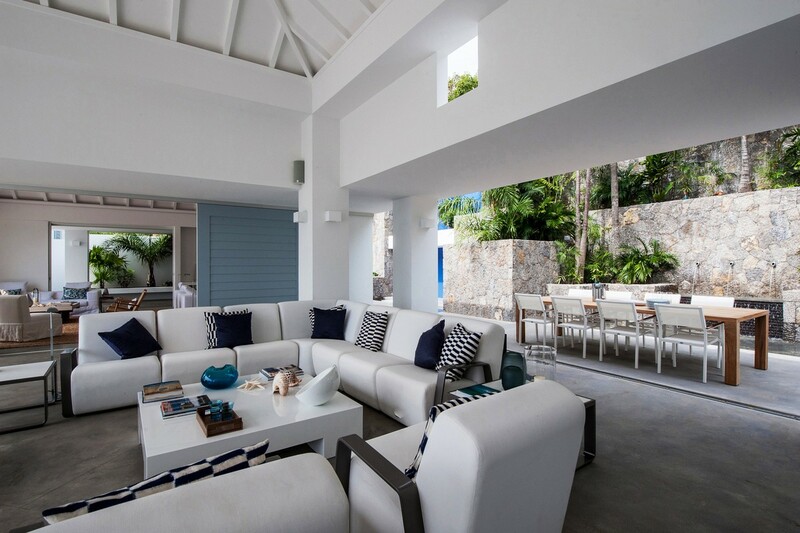 At the back of the villa are several lounging and dining spaces as well as the barbecue spot. 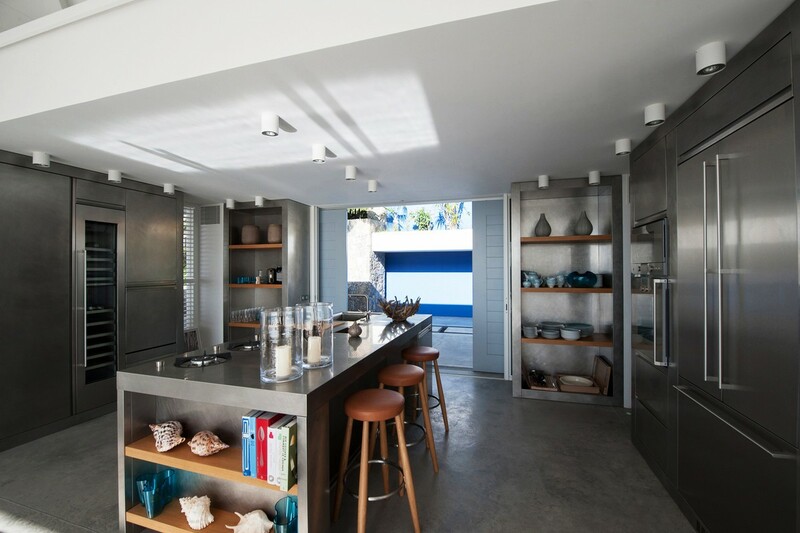 The entire property is decorated in a palette of white, sea blue and steely grey. 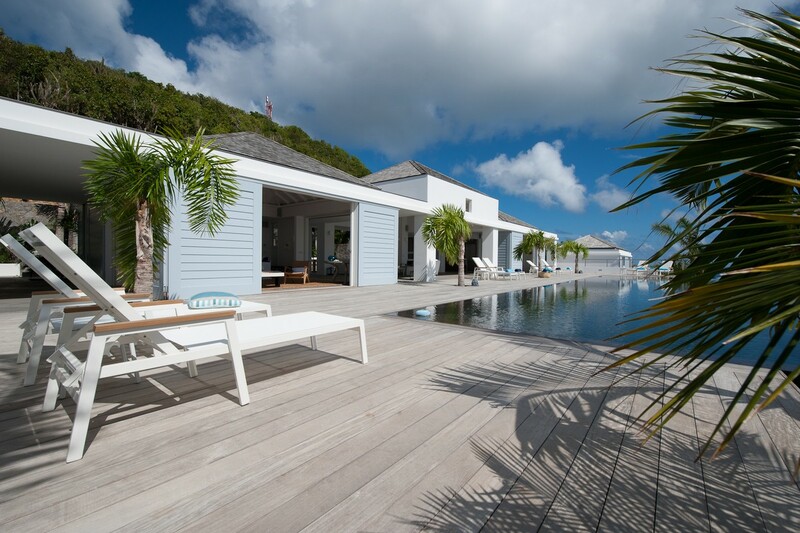 It is a place of immense tranquility and scenic beauty. 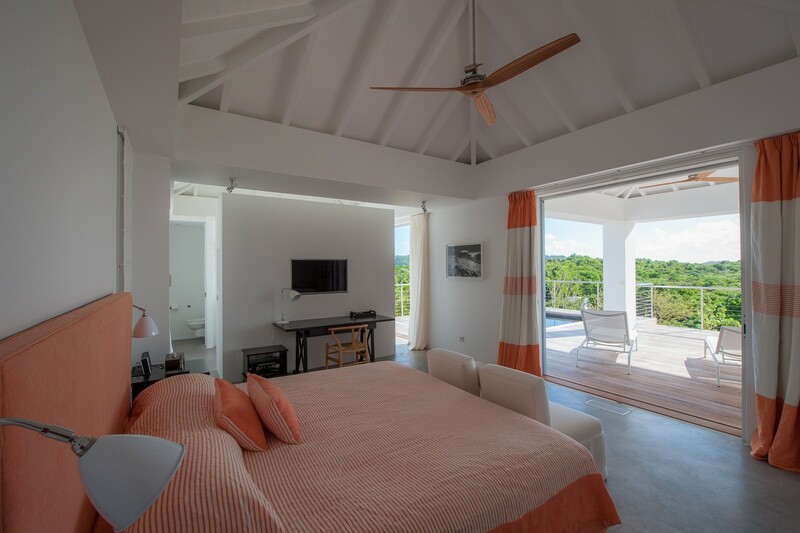 The two bedrooms in the main villa both open to the views and private terraces, and feature the same entertainment gear, mini bar and luxurious baths as the lower level suites. 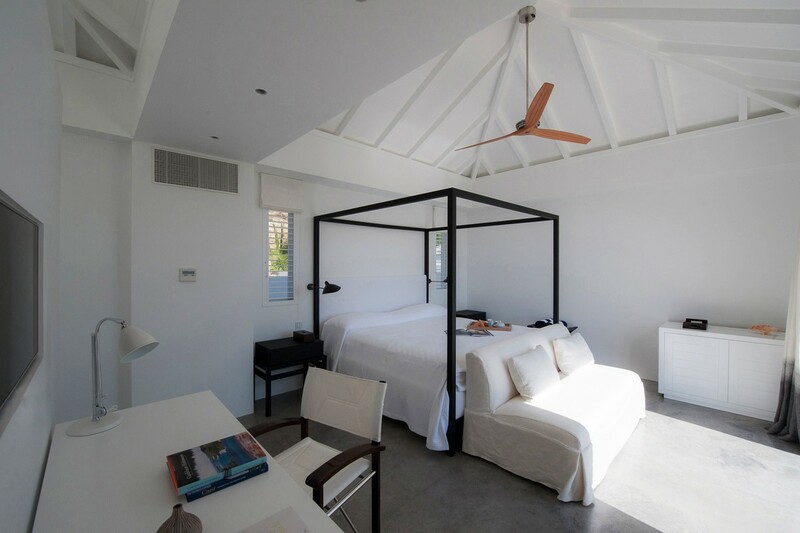 Ideal for the most discerning travelers, the Villa Jasmine is a perfect choice for your next holiday. 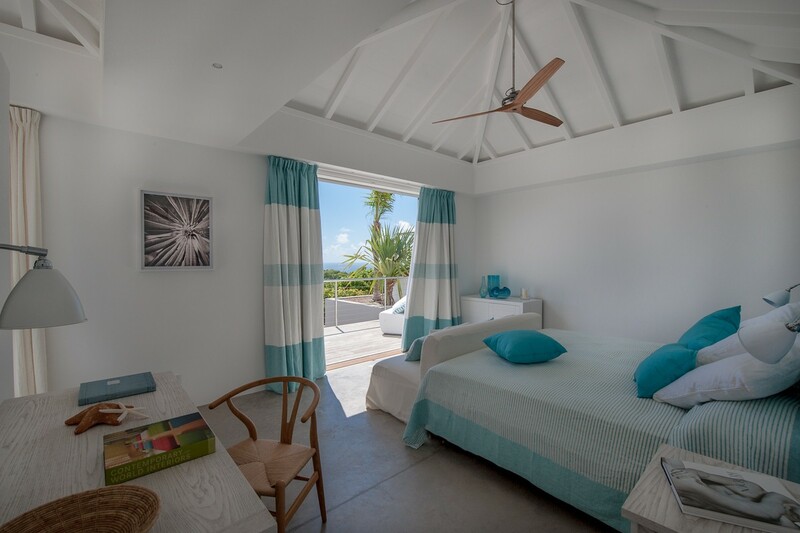 Villa Jasmine is located in a private gated enclave shared with sister villas- Villa Olive and Villa Rose to provide up to 12 bedrooms for the exclusive family getaway or corporate retreat.